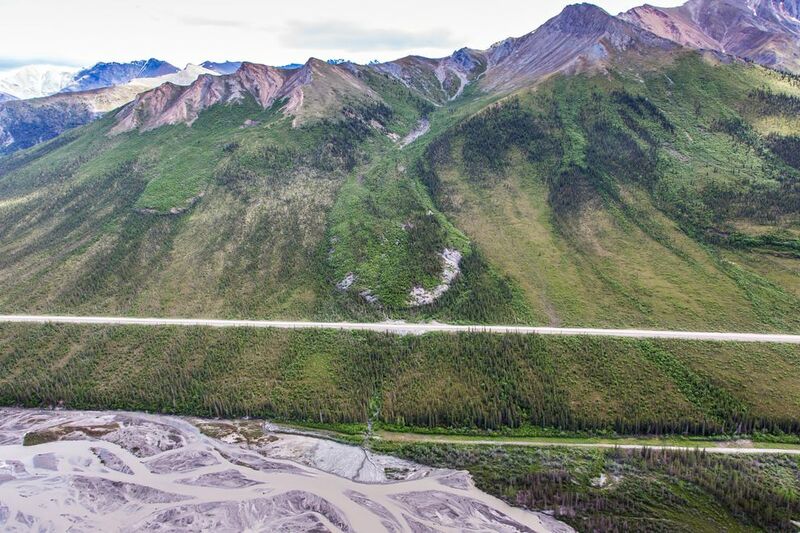 Alaska transportation engineers are facing a long list of increasingly urgent and costly public projects meant to solve climate-change related problems —imperiled runways, warped roads and even a mile-long mass of frozen debris sliding toward a highway. "There's a lot of challenges out there, and there's more challenges than funding," said Ryan Anderson, northern region director for the Alaska Department of Transportation and Public Facilities, at a Climate Action for Alaska Leadership Team workshop in Anchorage last week. The team was created by Gov. Bill Walker to address the effects of global warming in Alaska. Many state transportation officials say climate change-related spending is on the rise, though they haven't nailed down exact costs. 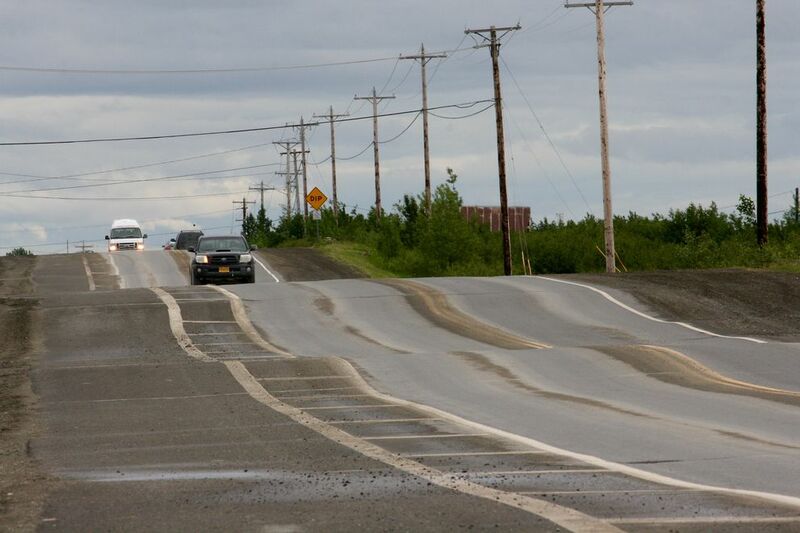 "It's safe to say warming temperatures have exacerbated" longstanding problems, said Jeff Currey, the state's northern region materials engineer for the Alaska Department of Transportation and Public Facilities. A study published by the Proceedings of the National Academy of Sciences in 2016 estimated that climate impacts to public infrastructure in Alaska will total about $5 billion by century's end. 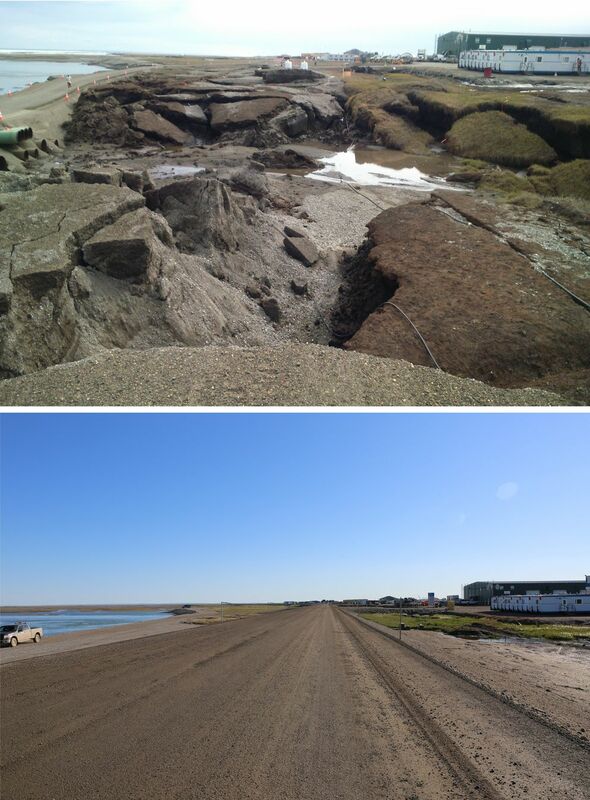 Among the projects Anderson highlighted is an eroding runway in Point Hope in Northwest Alaska. The Arctic Ocean over the last five years has chewed off about 50 feet of safety area at one end, needed by planes for emergencies. Plans call for "skewing" the runway about 30 degrees, turning it so it's more parallel to the coast, Anderson said. The work is expected to cost $17 million and be done by 2020. "We believe that buys us 30 years," he said. With climate change melting coastal sea ice near villages, storm-driven waves pound communities harder, accelerating erosion, Currey said. "The same storm events that didn't cause grief 20 years ago" are causing greater problems, Currey said. Meantime, the Noatak River is threatening the runway in Noatak, Anderson said. Erosion there is starting to eat away the road to the airport and is approaching the apron. The plan is to move that airport about 1 1/2 miles away, by 2020, at an estimated cost of about $25 million, Anderson said. 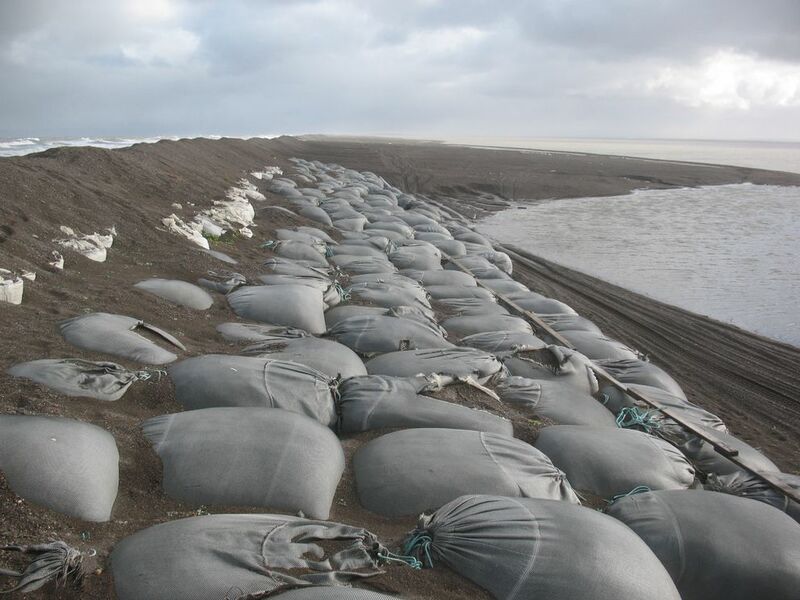 Thawing permafrost along the river's banks is contributing to that erosion, the Center for Climate and Health at the Alaska Native Tribal Health Consortium said in a 2011 report. Also on Anderson's list: Warmer temperatures have accelerated the sliding of a giant mass of ice, water, rocks and trees toward the Dalton Highway. The mile-long frozen debris lobe, as it's formally known, has been sliding toward the highway like a glacier at about 15 feet annually. Last year, it was within 100 feet of the road, with its leading edge pushing into the right of way and causing drainage problems. The state last year began moving a nearly mile-long section of highway farther away from the so-called "blob." It's part of a previously planned, $25 million effort to rebuild 15 miles of road more than 200 miles north of Fairbanks. Penciling out the cost of climate change on state transportation budgets is complex, said Currey. Some work would have been done anyway, at a later date. But the effect of warmer temperatures has accelerated timelines and added expense, he said. The agency is also trying to understand what's causing fierce frost heaving on the Chief Eddie Hoffman Highway in Bethel in Southwest. Officials suspect thawing permafrost. They plan extensive repairs estimated to cost almost $9 million. The last four years in Alaska have been among the 10 warmest in 94 years of record-keeping, said Rick Thoman, a climate scientist for the National Weather Service. Temperatures have averaged about 30 degrees annually, four degrees higher than about 75 years ago. "For a state as big as Alaska, that's really dramatic," he said. The agency's northern region, an area larger than Texas that includes Alaska's Arctic and the Interior, is changing the way it plans for projects, Currey said. About six years ago the region began estimating temperatures to 2050, using modeling based on planet-warming carbon emissions. Before that, the northern region relied on 30 years of past temperature data, he said. "It's naive to continue using (only) historical data, when we are observing these changing conditions," Currey said. 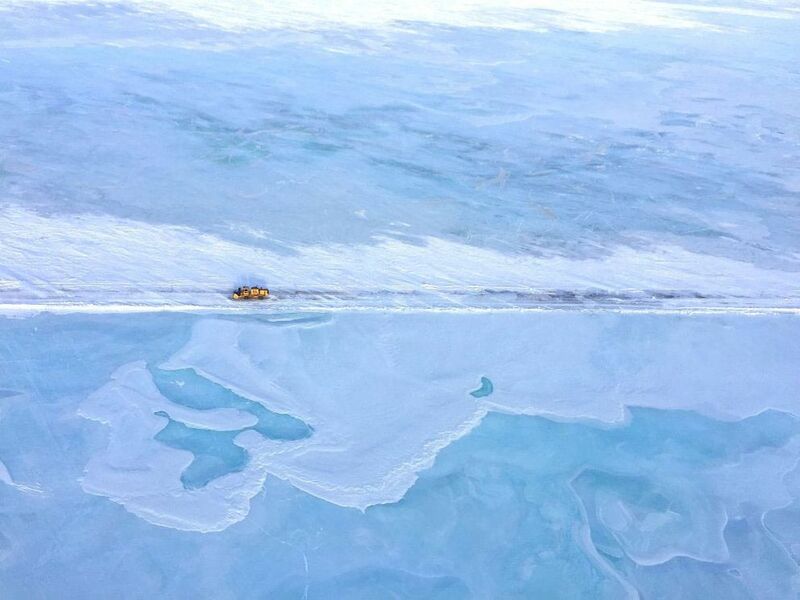 One costly event was Dalton Highway flooding south of Deadhorse, near the Prudhoe Bay oil fields, in May 2015. Record high levels of rain in 2014 and record heat in spring 2015 that caused rapid snow melting contributed to surging waters at the nearby Sagavanirktok River. The flooding caused 24 miles of damage and shut down the highway for a month, leading to $17 million in emergency repairs, said Meadow Bailey, a spokeswoman with the agency. Such flooding was a first since the road was completed in 1974. 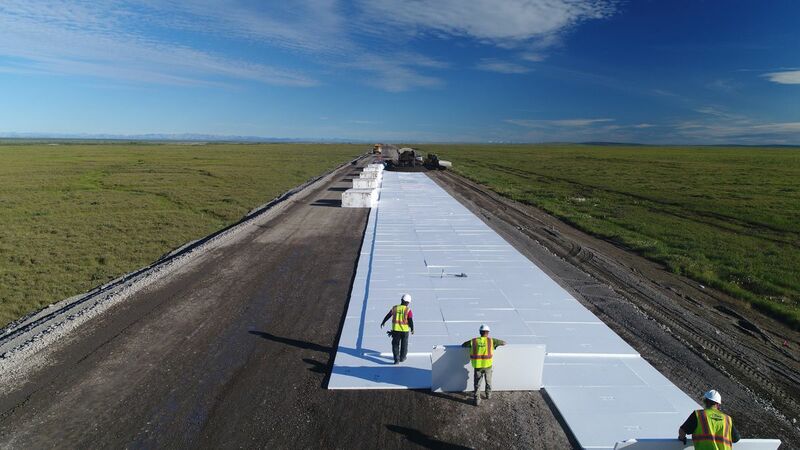 The state beefed up construction plans already underway so the highway could survive future flooding and to fight the thawing of permafrost beneath the roadbed. Among the upgrades, the state added board insulation for more than 50 miles beneath the roadbed, similar to the solid panels used to insulate houses, said Michael Lund, construction manager for the Dalton work. The panels were designed to keep the permafrost colder for longer. The insulation would fill 41 Olympic-size swimming pools, he said. Installing it cost about $24 million.